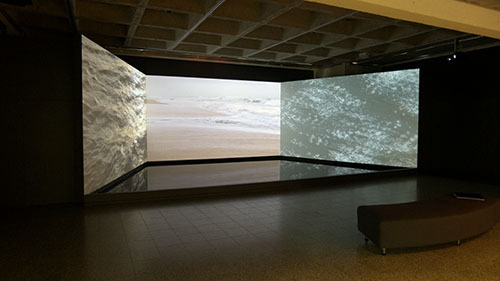 3-channel video installation, Full-HD, water basin, sound, 20 min, loop. Part 3: 35 Minutes, Full-HD video, 10 min, loop. 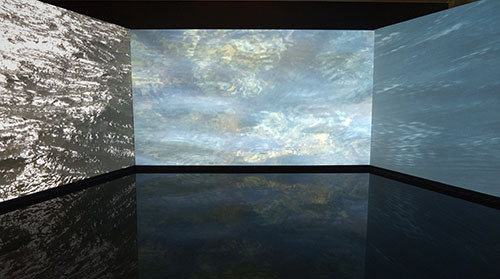 The sea stands in direct focus Rita Jokiranta’s three-channel video installation, created for ARS 11 and Water and Waste in the Åland Islands Art Museum. Jokiranta takes as her subject the water that bounds the African continent as fairways and places of departure, also asking if the waves are able to carry a message or if the sea can give some comfort.